ArtTactic is delighted to announce the 5th edition of the Hiscox Online Art Trade Report 2017. Online art market sales up despite slowing global art market. Online art market sales reached an estimated $3.75 billion in 2016, up 15% from 2015. Brick-and-clicks are gaining ground. Whilst the traditional auction houses were slow in adapting to the opportunities of the online art market, 2016 marked a significant shift in their online sales strategy. The Hiscox Online Art Sales Platform Ranking. 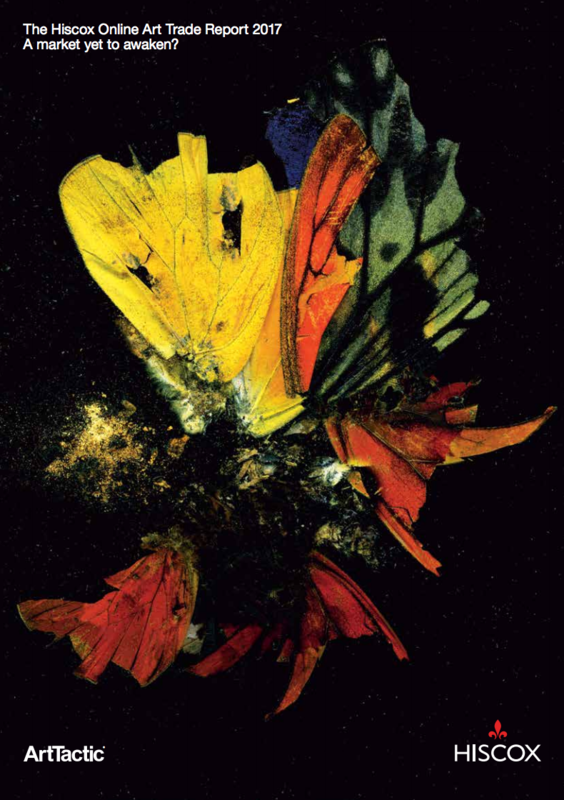 Christie’s came out on top ahead of Sotheby’s, Artsy, 1stdibs and Artnet. Four of the top ten ranking online art platforms were traditional art businesses, which now have an online/digital platform for bidding on, and buying, art. This suggests that the offline art world is catching up with its online-only rivals. The majority of online art platforms expect to see more industry consolidation. Among the online art platforms surveyed, 71% said they expected more consolidation to happen. 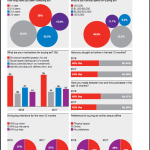 48% of companies surveyed felt that ‘horizontal mergers’ will be the most common, while 53% believe ‘vertical mergers’ are more likely, i.e. companies operating in different parts of the value chain. Hesitant art buyers remain unconvinced about buying art online. The conversion of online art buyers remains static for the third consecutive year, signalling that the online art market could be struggling to convert sufficient numbers of hesitant art buyers. Obstacles to future growth. Online art sales growth can only accelerate by increasing the conversion rate of hesitant, non-online buyers by actively addressing their key concerns. 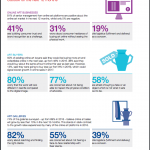 Third-party sales channels are gaining in popularity. 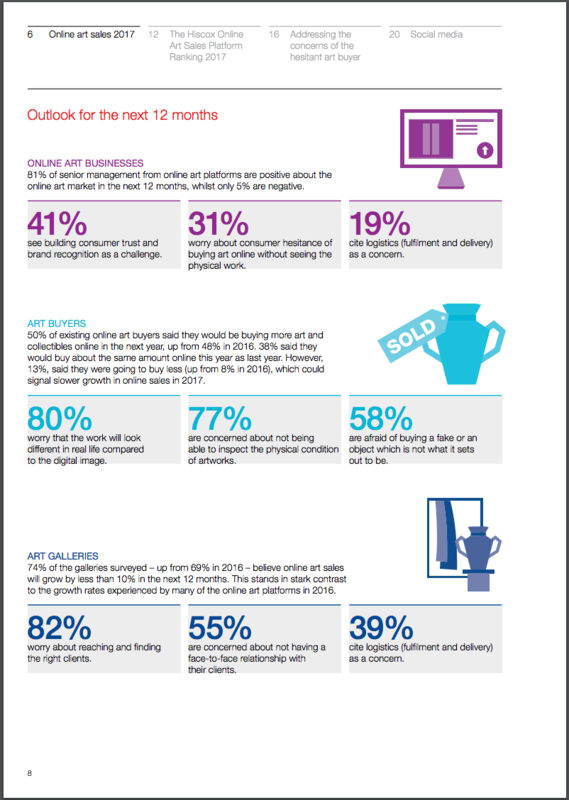 In 2013, 15% of galleries surveyed said they would generate online sales by partnering with an existing art e-commerce platform. 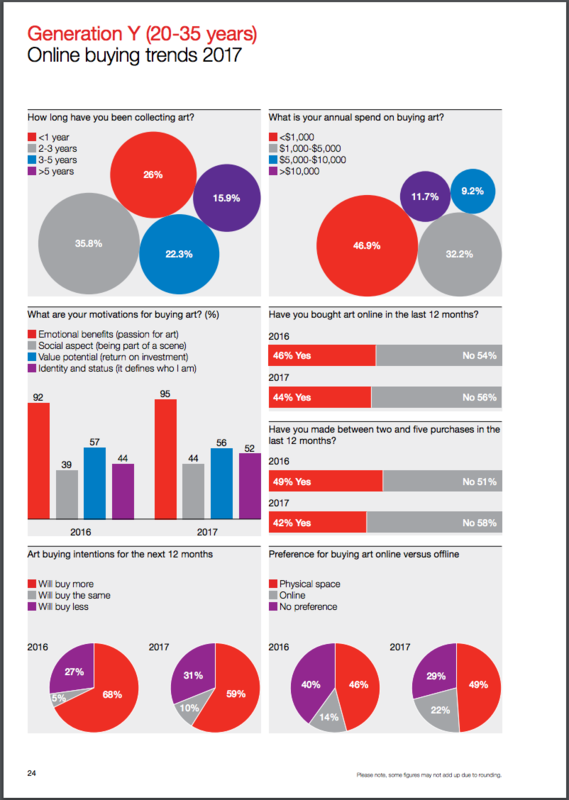 In 2016, 26% of galleries surveyed said they planned to partner up with a third-party e-commerce platform in the near future, and this year 27% said this was their future e-commerce strategy.